Find out why Prime Access is the leading provider of high-quality, name brand medical & hospital pagers in America. 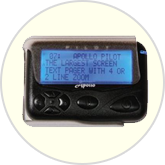 We provide Special Discounts to hospitals and other health care providers on all Apollo, Daviscomms, and Unication pager models. If your health care facility, hospital, or nursing home uses a nurse call or other paging system, you need to check out our prices before making another purchase through your current provider. Prime Access offers a special discount to hospitals and other health care providers, and guarantees lowest pricing on all pager makes and models. 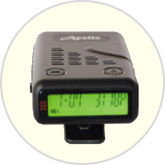 All medical pager models are available in pocsag format (512, 1200 and 2400 baud rates) and most are available in wideband and narrowband formats making them fully compatible with all nurse call systems and on-site paging transmitters. All medical and hospital pager models are covered by an 18-month guarantee, Unication and Daviscomms are covered by a one-year guarantee. We also carry a full line of paging transmitters, boosters, and repeaters to support new installations and upgrading existing ones. Our "Lowest Price Guarantee" is not the only reason you should be buying your hospital pagers from Prime Access. Our goal is to provide hospitals with the most courteous and professional customer support possible. We take extreme pride in our ability to provide personalized service to each of our customers, no matter how big or small.